A self-taught musician from the age of nine, Joseph Hart has always had an appreciation for fine art and craftsmanship. Joe spent the first eighteen years of his life in Sturgeon Falls, a small community in northern Ontario where solitude and nature helped to mold this appreciation. After an education at the University of Toronto in Philosophy and Anthropology, Joe helped raise a family of three children in Guelph, Ontario. 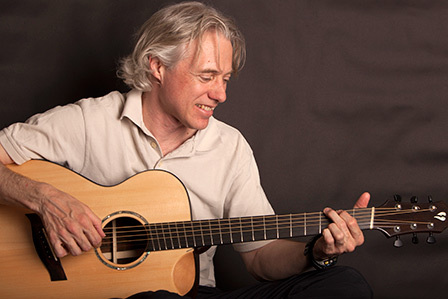 In 2013, he moved to the Laurentians to hand build acoustic steel-string guitars in Mont-Tremblant, Quebec. Catering to custom wood selections, varied shapes and sizes, and even creating his own take on the double cutaway with the PL model series, Having moved back to Ontario in the Ottawa region close to Embrun, Hart Guitars has the mandate of building high quality instruments that are aesthetically and aurally pleasing to the buyer, while maintaining a high level of playability. Hart Guitars will also repair, customize and modify nearly any stringed instrument, including electric and acoustic guitars and basses.